These cute little snowmen and the snow globe are from the Lawn Fawn stamp set, Ready, Set, Snow. I colored the images with Copic Markers and added a bit of shimmer with some Ranger Distress Glitter in Clear Rock Candy. I also used a Clear Wink of Stella Glitter Pen on the snowflakes. 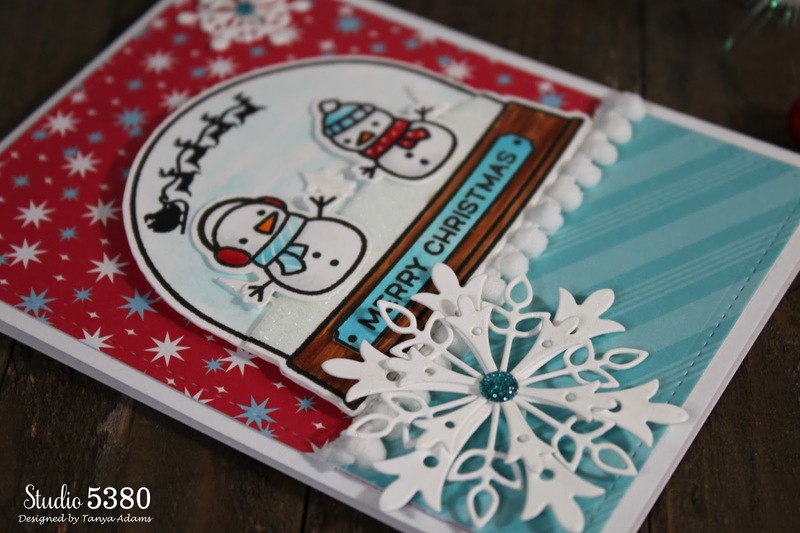 Those gorgeous snowflakes are from the Layered Snowflakes die set by My Favorite Things. And, one more Christmas card to mark off the list! 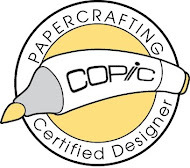 I'm off to work on getting some gifts wrapped now. I hope you have a great day! Super adorable snow globe! 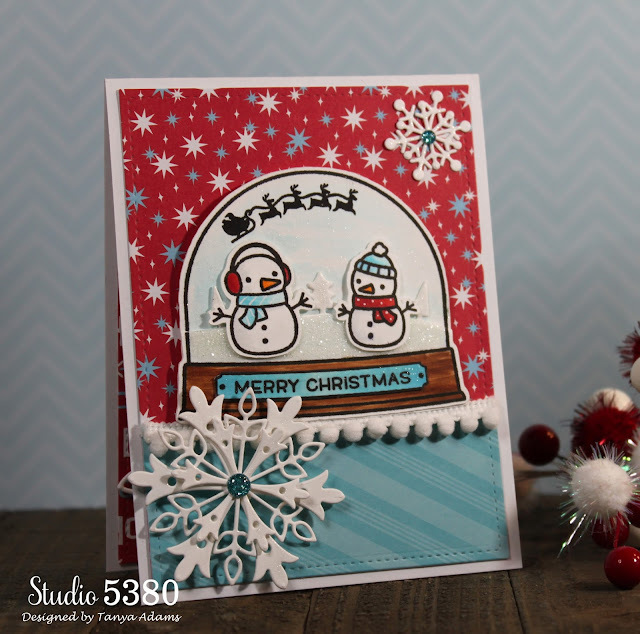 Love the color scheme and those sweet little snowmen! You are right...this is super cute and there isn't enough time in the day. I have LOTS of holiday cards to make still. Ooh, How CUTE Tanya! I agree there is never enough time in the day to get all the things done that we want! :) So Big Hugs to you for that! 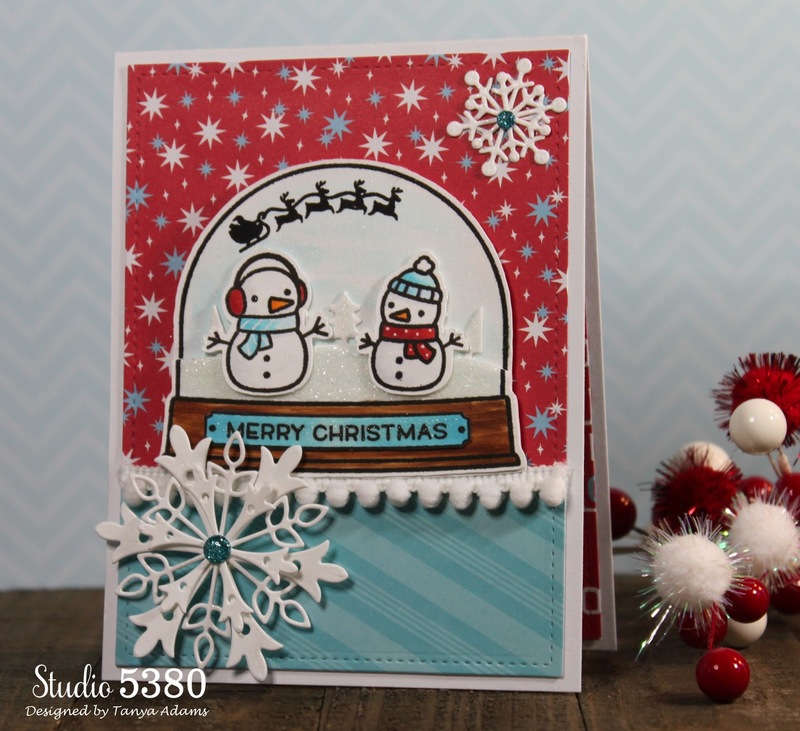 Your card is adorable... those snowmen are so sweet & I love the snowflakes! I love the cute snowmen and fun scene. Adorable card my friend! Ohhhh, I just love it! 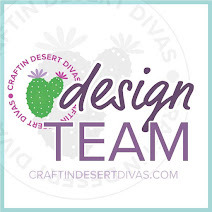 The pompom ribbon is the perfect touch! And that layered snowflake is simply gorgeous! !